With special thanks to Kalliope, the Modern Mystic Mother, a strange breath of fresh air. I am grateful for this kind nomination. 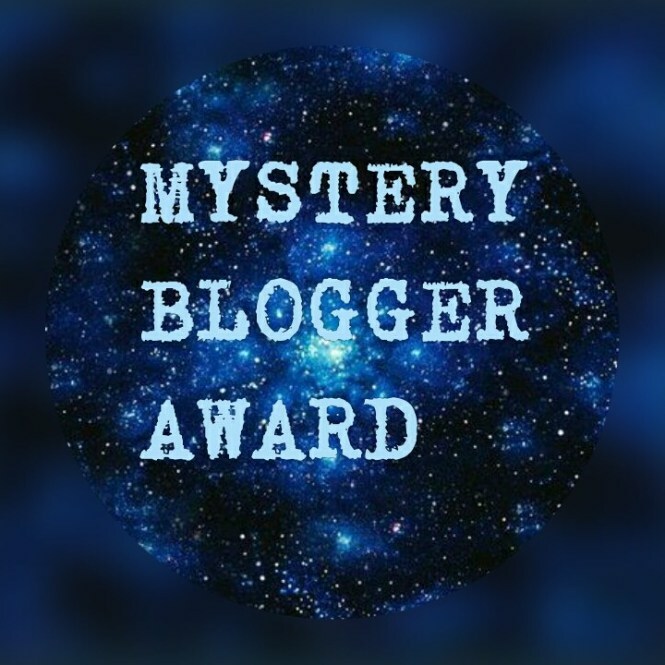 Okoto Enigma may be found at her blog, https://www.okotoenigmasblog.com/, and of special interest to the Mystery Blogger Award is her post, My Greatest Creation Yet: The Mystery Blogger Award. I am a strange amalgamation of arrogant self-loathing: I contradictorily think myself better than everyone around me while believing I am the worst person on earth. I, having a capacity for creating detailed and well drafted plans, have such a strong impulsive nature that I habitually wing everything I do. I will think up a thousand ways to start a conversation, and be entirely surprised by the first words that come out of my mouth. I am next to addicted to raspberry tea, and I fear my family is about to have an intervention. I regret I am not able to add to this list Kalliope, as she was the one who nominated me. Describe what is meaningful to you, and if you cannot find anything meaningful, describe meaninglessness. Do you believe in Truth? Why or why not? Of what are you afraid? What is the thing you fear the most? (Fun) If you were a monster, what monster would you be? 1) Did your parents ever tell you about the day you were born? Describe your birth, or conception. GRAPHIC (NOVEL) IN WORDS. Or perhaps write about the birth of your own child, or soul. I know little about the day I was born, but having no children of my own, I will relay what I know. My mother could not deliver me, I assume she was in great distress, and this resulted in a cesarean operation. My mother often says of my father that when he saw me, his face lighted up, and he was changed. This is an easy one however unbelievable. I remember being a baby, or close to it, playing with a bumble ball. It’s a toy with multicolored rubber studs, and pushing a button causes it to vibrate. The vibrations cause the ball to roll. I remember, crawling on all fours and playing with this, biting it, enjoying the sensation of its vibrations in my mouth, especially around my gums. Then I understood that it was time for bed, and I tried to crawl away from my mom. I was not fast enough. I think I fell asleep before she carried me to bed. 3) Sometimes we have recurring dreams that demand our minds time, over several nights or weeks or lifetime. What is the most vivid (or significant) dream you can remember? We don’t always dream nor always remember them, but I’m sure you’ve at least experienced them. Going way back, I had a recurring dream: I was a wolf in a warehouse full of toys. The toys all tried to warn me to run away, but I had to go deeper into the warehouse. When I would get to the end of the warehouse, a fireman (appropriately made out of fire) would come out of the wall, wrestle me to the floor, and hold me in perpetuity. I was trapped with no escape. God would come, set me free, and warn me not to go back into the warehouse. 4) Face it, we’re all going to die. Do you think your obituary would be an honest representation of you and your life? Write the obituary you would like to be published upon your death. Considering the amount of educated writers in my family, I would hope some meagre offering of my greatness would be presented to the public upon my demise. However, I do not know what would, or should, be said in such a circumstance. I think, though, I would like one of my poems to be published along with the obituary. Something short. To a Friend, would be appropriate. 5) Would you rather be hated or forgotten? Why? We’re never going to please everyone, so you really shouldn’t bother to try. Do for yourself, as well as for others. You’ll never see yourself the way others see you in their minds. This is a hard one. I think I would rather be hated. For one, I love playing the villain, and for two, ignominy is unpleasant to me however inevitable.